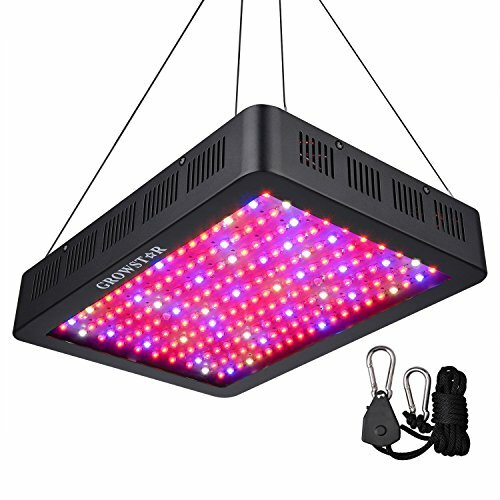 Welcome to Growstar Double Chips 600w led grow light, with full spectrum layout, daisy chain design and upgraded aluminum cooling heat sinks, is ideal for all kinds of indoor plants veg and flower at all growth stages. Growstar has specialized in researching and developing environmental-friendly and user-friendly LED grow lights for 8 years. Yo Yo hanger presented as a random gift. Stock emergency, please add to cart as soon as possible. Indoor use only, not water-proof.